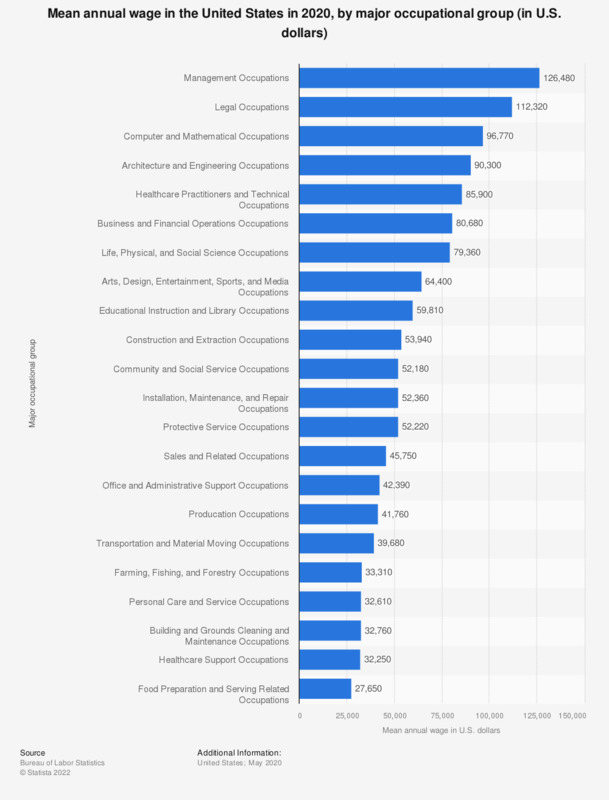 This statistic shows the mean annual wage in the United States in 2018, by major occupational groups. As of 2018, the mean wage for employees in healthcare support occupations was about 32,380 U.S. dollars in the United States. In probability, theory and statistics, median is described as the average of all numbers in a set.